Get ready to chow down on some delicious grub this holiday season. 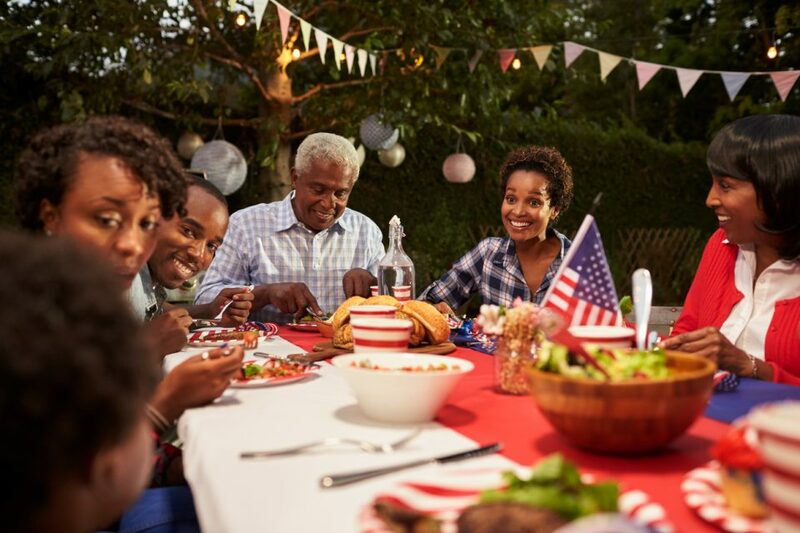 Your Fourth of July celebration is right around the corner, and we know just what your menu needs to satisfy all of your hungry guests. The perfect backyard dinner is right ahead. Step 1: First, bring some salted water to a boil in a large pot. Once boiling, cook the farfalle according to the package directions. When the pasta is al dente, drain the water away and transfer the pasta to a large bowl. Step 2: Next, begin preparing the balsamic glaze in a small saucepan. Bring the balsamic vinegar to a boil, first. Then, reduce the heat to low temperature and allow the vinegar to simmer until it becomes thick. This should take about 10 minutes. Step 3: Next, add the feta cheese, spinach, and strawberries to the bowl of pasta. Then, season with salt and pepper and toss. Finally, drizzle the balsamic glaze on top and garnish the pasta salad with almonds. Step 1: Evenly distribute the vanilla ice cream into two bowls and scoop the strawberry ice cream into another bowl. 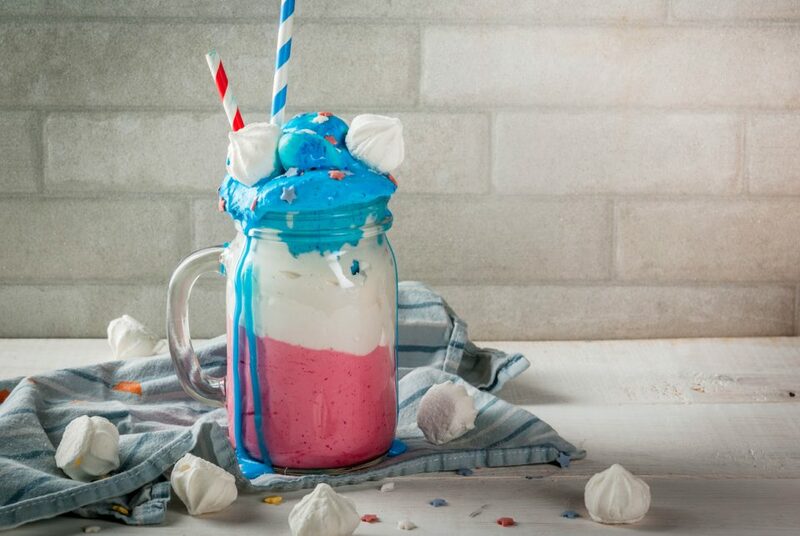 Then, pour some red food coloring into the bowl of strawberry ice cream and blue food coloring into one of the bowls of vanilla ice cream. Step 2: Whisk the ice cream until the color is well-blended. It will begin to melt, but this is perfect for the milkshake consistency that you’re aiming for. Step 3: Grab the glasses that you will be serving the milkshakes in. Start with a bottom layer of red strawberry ice cream. Then, add in the plain vanilla ice cream and place one scoop of blue vanilla on top. Step 4: Pour whipped cream and colorful sprinkles on top of the milkshakes and serve. Step 1: Place the strawberries in a large bowl and pour the vodka into the bowl until the strawberries are submerged. Step 2: Next, put the strawberries into the refrigerator and allow them to soak for 1 hour. After soaking, drain the vodka away and use a paper towel to gently pat the berries dry. Step 3: Microwave the marshmallow creme for about 10 seconds. Then, dip the berries into the creme and sprinkle the blue pop rocks on top. Allow the marshmallow creme to solidify and serve. The menu options don’t end here! 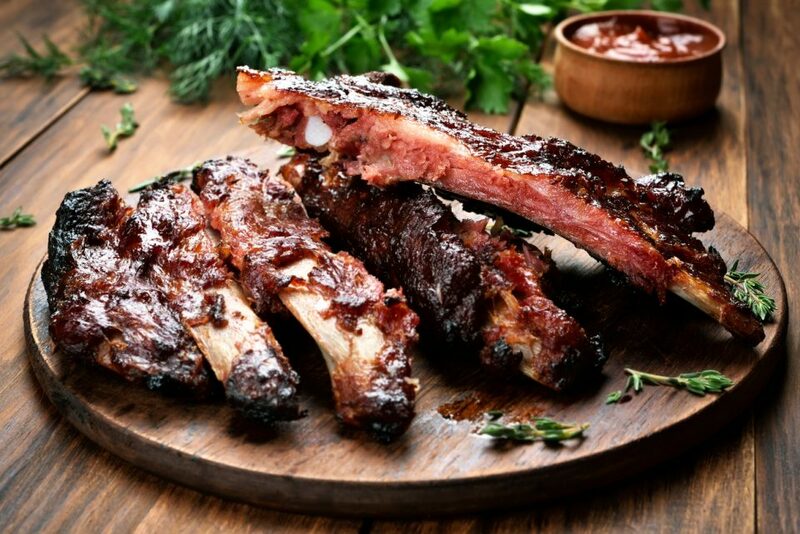 Check out these Fourth of July recipes that we’re planning to try soon. Bring your Fourth of July celebration in with a stylish vehicle from Jay Hodge Chevrolet. Our professionals will go the extra mile to get you into the car, truck, or SUV that will perfectly meet your needs. We look forward to assisting you with your purchase.